I recently watched this quick video on the Immutable Rules of UX, 39min. Curious about what they are? Check out the video, or my notes below. These are my notes from the video. Even in early tech, people like using a little picture of themselves; customization. Use the 3 principles of UX: design, test, measure. Test with real users. Test before you launch. Use prototypes. Remember your first design will be wrong. Don’t invent new terms to get respect for UX. Producing results will get you respect. People have limited brain capacity. Design accordingly. Usefulness = Utility + Usefulness. Without both, people will not use your product. AI/Voice Interfaces don’t have much usefulness to increase adoption, yet. They must improve if they will succeed in the future. Remember that the web is really big and most people spend their time on other people’s sites. This means that user expectations keep changing and improving based on other people’s sites. Always keep improving. Satisfaction is a matter of the relationship between what you get relative to what you expect. Remember that UX is about people. Following up my earlier posts about online resources that teach the fundamentals of UX, here is a review of a few video courses. There are a lot of good websites and “schools” that specialize in video-based learning. The courses I’m reviewing today are from Lynda and Skillshare. Lynda offers classes on many creative topics. Topics include web design, graphic design, programming, music composition, and more. It’s a great site to use to get structured overview of a topic. For instance, if you want to learn the basics of After Effects, Lynda would be a good source. It’s been around for a while, but somehow many of their courses still seem relevant. Lynda offers a consistent site experience with high production quality. Sometimes it can seem like their courses are out of date. Skillshare also offers classes on creative topics. I haven’t checked, but they seem to have a few more lettering courses. The service is new and they don’t have as much content as Lynda. Skillshare emphasizes the teachers over the subjects. Teachers sign up to teach classes; they do their own recording and supply site the content. The result is that the site experience is inconsistent. Some classes are good, but have low production quality. But since it seems like a startup, the content feels more “fresh”. Lynda is by paid membership only, although you can get a free trial for 10 days. They have paid plans for individual members and organizations, that start at around $25/month. But, many public libraries will let their patrons sign up for free Lynda memberships. Check with your local library to see if they offer this, and if they do you’re all set. If not, you can still sign up with Lynda by getting a library card with another city. Although the rules for out-of-town library cards depends on each library. Skillshare requires site registration, but it has both free and paid accounts. The paid accounts are “premium” accounts which opens up “premium” classes. I was able to find a 3-month coupon for Skillshare which allowed me to take a few premium classes. I am not confident in recommending a premium account, though. I am not convinced premium classes are “better” than non-premium. Unfortunately, Skillshare is still too inconsistent for me to recommend a premium account. If it hasn’t become obvious yet, I am a Lynda. I prefer the Lynda teaching style, for a few reasons. One reason is that each instructor is very rehearsed before they record their lesson. The result is a smooth lesson with instructors that speak with clarity about their topic. Lessons are well-organized and logical, with the course description listing class topics. Some Skillshare instructors are well-rehearsed but many others are not. Even having an organized instructor doesn’t always result in a good class. One pet peeve of mine is the poor audio quality for most Skillshare lessons. Lynda classes sound high-end. I suspect they are either recorded in a sound studio or with a good microphone on a set. In comparison, Skillshare instructors sound amateur, recorded at home or with inferior microphones. You may find yourself adjusting the sound level between lessons. The course descriptions are pretty good, but they could be better with a list of the class topics. Finally, the relevant classes! Remember, the classes I am reviewing fit the pattern of being either a what is UX class or a how to UX class. That’s what I’ll go through next with Lynda and Skillshare. 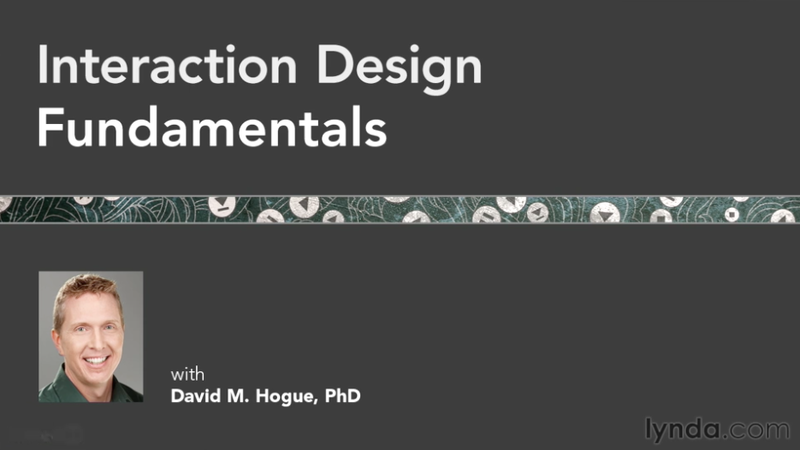 Interaction Design Fundamentals with David Hogue provides an overview of interaction design. What I liked about this class was that it described theory and application. For instance, there was a lesson on tools, and then another lesson on UX principles. Course topics included cognition, neural models, and vision. They even mentioned cognitive load! I definitely recommend this 3-hour class. 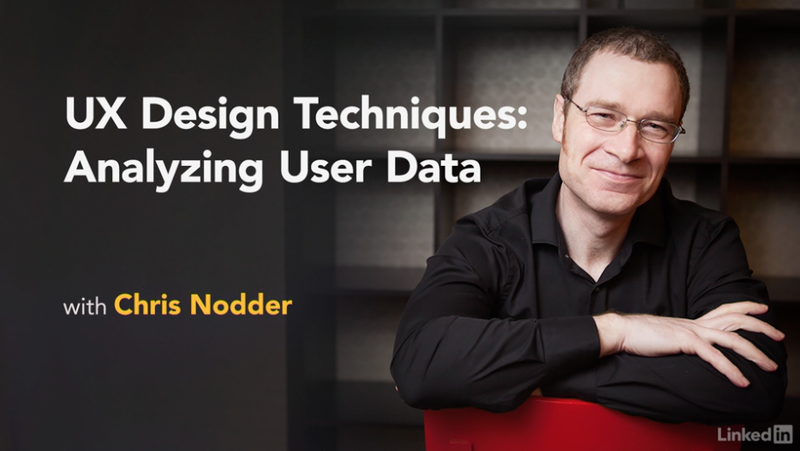 UX Design Techniques, from instructor Chris Nodder, is all about how to do UX. This is actually a set of 7 videos, that go from user analysis to implementation. Topics include observation and experience mapping. Techniques include as personas, scenarios, storyboards, and paper prototyping. Each lesson builds on the previous one. There’s a UX playlist that only includes 6 courses, so make sure to include this one if you decide to take this course, too. I enjoyed this class a lot. I became a fan of the method he describes. It seems fun to create paper prototypes. My only hesitation with this method is that it might be difficult for teams of one. It also focused on building a new product. I find that I get involved in many redesigns of existing products. On Skillshare, there are again two sets classes I want to mention focused on what is UX and how to UX. The What is UX class is UX Design Fundamentals: Everything You Need to Know (and More) by Joe Natoli. The description for this premium class states that it is a comprehensive overview on UX. This is a 12-hour, 8 chapter course. Each video is between 8-15 minutes long. Paths on the other hand are what users leave to enter and leave. (pause) Ok? Pretty straightforward. “Ok? Pretty straightforward” may not sound like much. But, it’s pretty noticeable when happens in every other sentence. I also noticed that the slides don’t always match the voiceover. I felt that I was constantly fighting a cognitive disconnect between what I was seeing and what I was hearing. To summarize, I do not recommend this class. It’s far too long and his speaking style will drive you nuts. In lieu of a screenshot from the course, I will include this Placekitten. iOS Design by Kara Hoedecker is a good hands-on course in UX design. This is a three-part course on redesigning a mobile app. She takes the class from planning stages and sketching, through wireframes and visual design. She ends with prototyping and testing. Her class wasn’t perfect: she had some technical issues with her class. For instance, her cat walking into the room where she was recording was pretty cute. Her longest class is almost 2 hours; the shortest is a little over 30 min. She also emphasized sketching a bit more so than I’ve done in the past. Her course includes visual design, so it expands the definition of UX to a wider range of skills than is typically associated with UX. If you like video-based learning, Lynda and Skillshare both offer courses on UX theory and techniques. My conclusion is that Lynda is more consistent overall. Skillshare has some good resources, but it’s a little hit or miss without a premium account. As for what I learned, I liked the sense of accomplishment I had completing the Skillshare course. There were a few techniques from each course that I look forward to using soon, such as the sticky-note experience mapping or group ideation sessions from the Lynda course. I also hope to use sketching more than usual, and I will start taking on UI design tasks. A combination the techniques used in each class would be beneficial in any UX practice. I look forward to posting my work from the Skillshare class, in an upcoming post. In the meantime, here’s a bonus video about Building and Maintaining Your UX Design Portfolio, from Lynda.